Wedding photography in Sheffield can encompass all sorts of venues including churches, hotels and barnes and now for the first time for us photographing there, the JG Graves Woodland Discovery Centre in Ecclesall Woods. 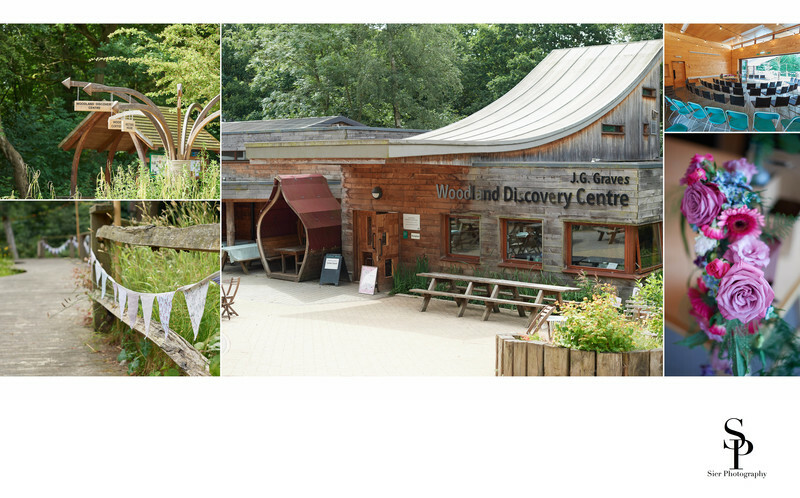 The discovery centre is the ideal place for those who wish to do things a little differently, or for those who simple love the outdoors and wish to embrace all that a venue like this has to offer them. This is the first wedding we have photographed the Discovery Centre and I hope it will be the first of many it is a truly beautiful setting. There are many wonderful places to get married in Sheffield and it is up to the couple to choose the right one for them as not all venues suit the needs of every couple. If you are a lover of Boho weddings then this could just be the very place for you. With the wonderful woodland clearing and the discovery centre itself there is the perfect mix of indoor and outdoor to spread out into with your guests both for the ceremony and for the wedding reception should you choose to hold it here. There are also many wonderful places in the woods to create some wonderful wedding day images most of which are just a short walk from the discovery centre.